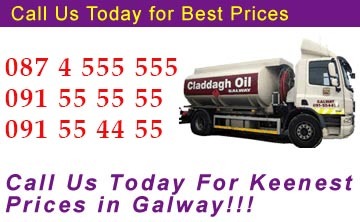 Claddagh Oil is your independent oil distributor for Galway City and surrounding areas. We have been supplying home heating oil for homes and offices; heating oil, lubricants, road diesel, and unleaded petrol to commercial communities; agricultural diesel, lubricants, and heating oils to the farming community; and supplying many other business in the Galway area for a number of years now with all their oil and lubricant requirements. Our quality heating oil along with the keenest prices have proven us to be a favourite of Galway people when it comes to buying heating oil. 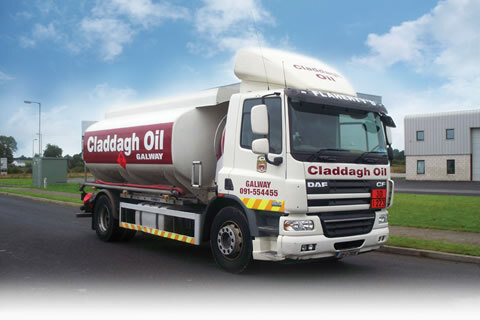 Galway people trust Claddagh Oil to deliver their home oil, because the Flaherty Group has been providing a first class service in the oil business for over 20 years now. Our experience has taught us to, to listen and value, exactly what it is that our customers want and need. At Claddagh Oil we are proud to provide a service focused on a personal and local, relationship, with the people of Galway. We hope this is evident with the provision of personal contact for Claddagh Oil customers, 24 hours a day, 7 days in the week. We would like to thank all our loyal customers for your continued custom.